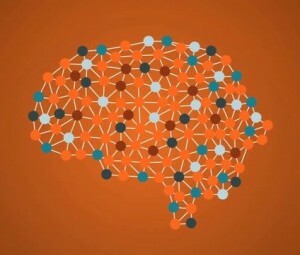 A variety of psychological terms have been used to characterize how people vary in their awareness of their thoughts and feelings, including metacognitive awareness, private self-awareness, reflective awareness, introspective awareness, higher-order consciousness, second-order consciousness, autonoetic consciousness, and mindfulness. Nevertheless, typically when researchers consider the awareness associated with psychological phenomena, the question boils down to whether a particular phenomenon is conscious. Attitudes are implicit or explicit, thoughts are conscious or unconscious, behaviors are automatic or controlled. Routinely, discussions fail to acknowledge the possibility that a thought, feeling, or action could be experienced without being explicitly noticed. In this article, the term meta-awareness is used to refer to the explicit noticing of the content of experience. Importantly, meta-awareness need not be assumed to be a distinct state of consciousness; rather, it may merely entail a particular topic for the focus of attention, that is, “What am I thinking or feeling.” Because this is just one of many possible directions in which attention can be focused, it follows that meta-awareness is intermittent. The answer to this question represents a description of one’s state, rather than the state itself, so it offers individuals the opportunity to step out of the situation, which may be critical for effective self-regulation. However, it also raises the possibility that in the re-description process, individuals might get it wrong. Two types of dissociations follow from the claim that meta-awareness involves the intermittent re-representation of the contents of consciousness. Temporal dissociations occur when one temporarily fails to attend to the contents of consciousness. Once the focus of conscious turns onto itself, translation dissociations may occur if the re-representation process misrepresents the original experience. Temporal dissociations between experience and meta-awareness are indicated in cases in which the induction of meta-awareness causes one to assess aspects of experience that had previously eluded explicit appraisal. A variety of psychological phenomena can be thought of in this manner. Everyone has had the experience while reading of suddenly noticing that although his or her eyes have continued to move across the page, one’s mind has been entirely elsewhere. 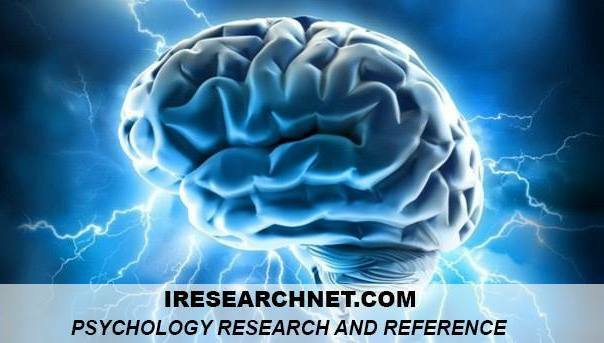 The occurrence of mind-wandering during attentionally demanding tasks such as reading is particularly informative because it is incompatible with successfully carrying out such tasks and thus suggests that individuals have lost meta-awareness of what they are currently thinking about. Additional evidence that mind-wandering during reading is associated with an absence of meta-awareness comes from studies in which individuals report every time they notice their minds wandering during reading, while also being probed periodically and asked to indicate whether they were mind-wandering at that particular moment. Such studies find that participants are often caught mind-wandering by the probes before they notice it themselves. These findings demonstrate that individuals frequently lack meta-awareness of the fact that they are mind-wandering, even when they are in a study in which they are specifically instructed to be vigilant for such lapses. Automatic behaviors are often assumed to be nonconscious. However, there is a peculiarity to this designation because it is difficult to imagine that individuals lack any experience corresponding to the automatic behaviors. Consider a person driving automatically while engaging in some secondary task (e.g., talking on the cell phone). Although such driving is compromised, one still experiences the road at some level. Similarly, when people engage in habitual consumptive behaviors, for example, smoking or eating, they presumably experience what they are consuming, yet may fail to take explicit stock of what they are doing. This may explain why people often unwittingly relapse in habits they are trying to quit. In short, it seems that rather than being unconscious, many automatic activities may be experienced but lacking in meta-awareness. At any given time, people’s experience is being colored by the particular mood that they are in. They may be happy because it is sunny out, or grumpy because they’ve had a bad day at work. However, because people often fail to notice their moods, moods can have undue influence on people’s judgments and behaviors. When in an unnoticed bad mood, people may be more likely to snap at their partners, and when in an unnoticed good mood, they may be more likely to believe that their lives are going particularly well. If meta-awareness requires re-representing the contents of consciousness, then it follows that some information may become lost or distorted in the translation. Examples of translation dissociations include the following. Some experiences are inherently difficult to put into words: the appearance of a face, the taste of a wine, the intuitions leading to insights. If individuals attempt to translate these inherently nonverbal experiences into words, then the resulting re-representations may fail to do justice to the original experience. Consistent with this view, studies have demonstrated that when people attempt to describe their nonverbal experiences, performance disruptions can ensue. Importantly, verbal reflection does not hamper performance when individuals describe experiences that are more readily translated into words. In some situations, individuals may be explicitly motivated to misrepresent their experiences to themselves. For example, individuals who are homophobic would clearly not want to recognize that they were actually aroused by viewing graphic depictions of homosexual acts. Nevertheless, when homophobes were shown explicit movies of individuals engaging in homosexual acts, their degree of sexual arousal was significantly greater than that of controls. In this case, individuals may experience the arousal but, because of their strong motivation to ignore it, fail to become meta-aware of that experience. A similar account may help explain why individuals labeled as “repressors” can show substantial physiological (galvanic skin response) markers of experiencing stress when shown stressful videos but report experiencing no stress. Because they are highly motivated to deny their stress, they simply do not allow themselves to acknowledge it. If individuals have a particularly strong theory about what they should be experiencing in a particular situation, this may color their appraisal of their actual experience. A compelling recent example of this comes from people’s reports of their experience of catching a ball. Most people believe that as they watch a ball, their eyes first rise and then go down following the trajectory of the ball. Indeed, this is the case when one watches someone else catch a ball. However, when people catch a ball themselves, they actually maintain the ball at precisely the same visual angle. Nevertheless, when people who just caught a ball are asked what they experienced, they report their theory of what they think should have happened rather than what they actually experienced. Because researchers have tended to overlook the fact that people can fluctuate in their meta-awareness of experience, there are many unanswered questions about this intriguing aspect of consciousness. The following are just two examples. In recent years, considerable attention has been given to implicit attitudes with the assumption that such attitudes are unconscious. The Implicit Association Test, for example, has been applied in countless contexts to reveal attitudes that are assumed to be below the threshold of awareness. However, it is possible that implicit attitude measures may, at least sometimes, reveal attitudes that people experience but are unwilling or unable to acknowledge to themselves. For example, implicit racists may indeed experience some aversion when seeing members of another race, but may simply fail to acknowledge this aversion to themselves. Although there are a variety of personality measures that assess the degree to which individuals focus on their internal states, relatively little research has examined whether there are reliable differences in people’s ability to accurately gauge their internal states. In recent years, there have been major advances in psychophysiological and behavioral measurements of emotion, thereby making it increasingly possible to assess emotional state without having to rely on self-report measures. This raises the fascinating question of whether some people are more accurate in identifying changes in their emotional responses than others. It seems quite plausible that individuals who show greater coherence between self-reported changes in affective states and other measures might be particularly effective in affective self-regulation because they are more “in touch” with their feelings. Schooler, J. W. (2001). Discovering memories in the light of meta-awareness. The Journal of Aggression, Maltreatment and Trauma, 4, 105-136. Schooler, J. W. (2002). Re-representing consciousness: Dissociations between consciousness and meta-consciousness. Trends in Cognitive Science, 6, 339-344. Schooler, J., & Schreiber, C. A. (2004). Experience, meta-consciousness, and the paradox of introspection. Journal of Consciousness Studies, 11(7-8), 17-39. Schooler, J. W., & Schreiber, C. (2005). To know or not to know: Consciousness, meta-consciousness, and motivation. In J. P. Forgas, K. R. Williams, & W. von Hippel (Eds. ), Social motivation: Conscious and non-conscious processes (pp. 351-372). New York: Cambridge University Press.